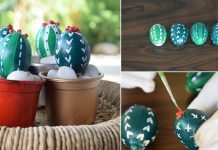 While you enjoy the arrival of warm weather, give try to these DIY Succulent Ideas for Spring! 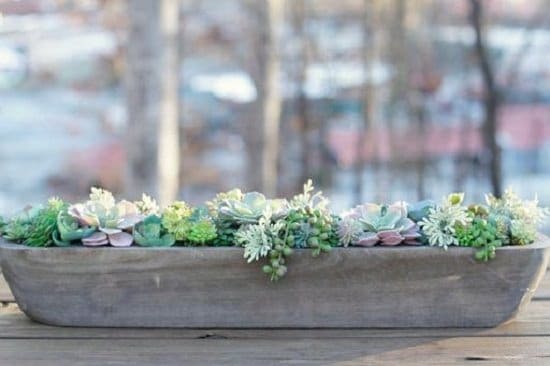 Spring is the season of color and this colorful spring succulent planter project supports this idea. Welcome spring with this artificial succulent wreath, you can use the real ones as well. Get the tutorial here. 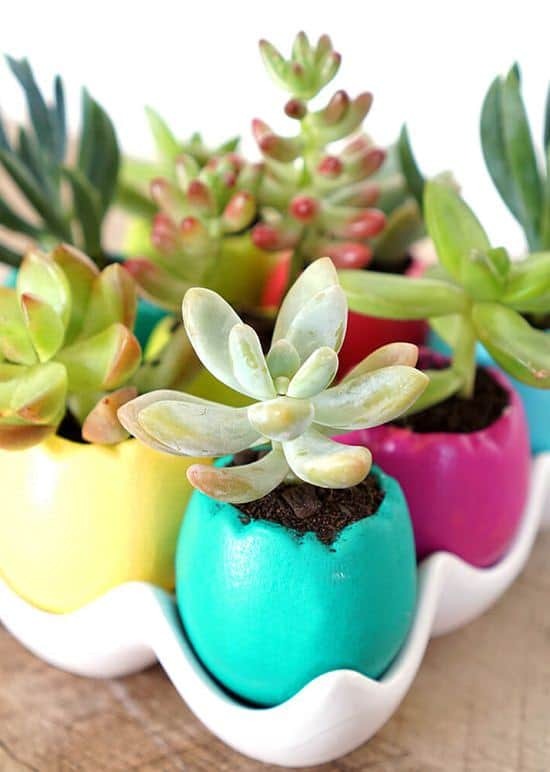 Celebrate Spring and Easter with these colorful Easter egg planters and succulents in them. The DIY is here. 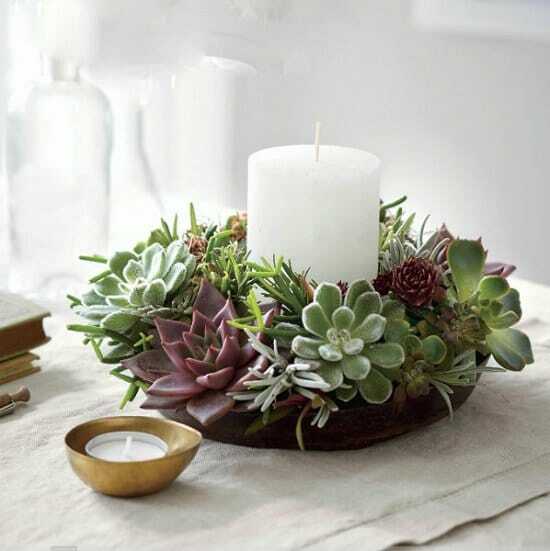 Make this faux succulent plants arrangement for your room this spring. The steps are here. 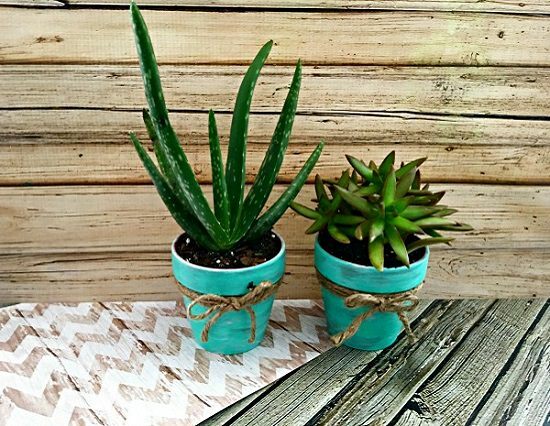 These rustic succulent pots are very appealing and easy to make with the help of this DIY post. 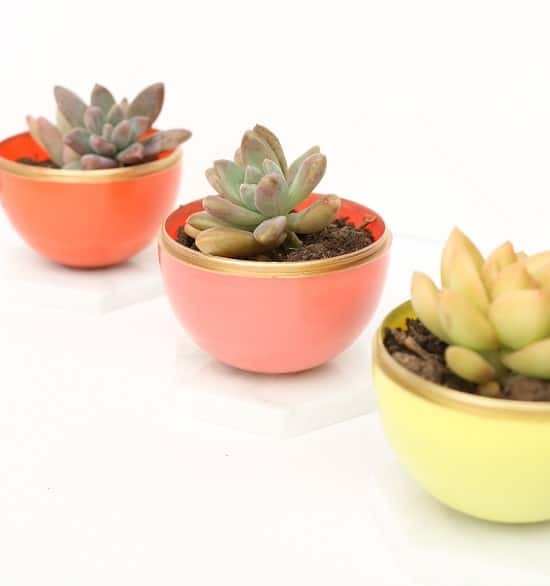 These DY succulent planters are a perfect gift on special days like Mother’s Day and Teacher’s Day. 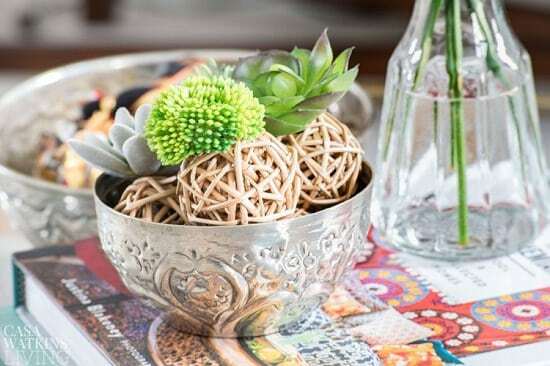 Try this glass jar terrarium project, the DIY is here. 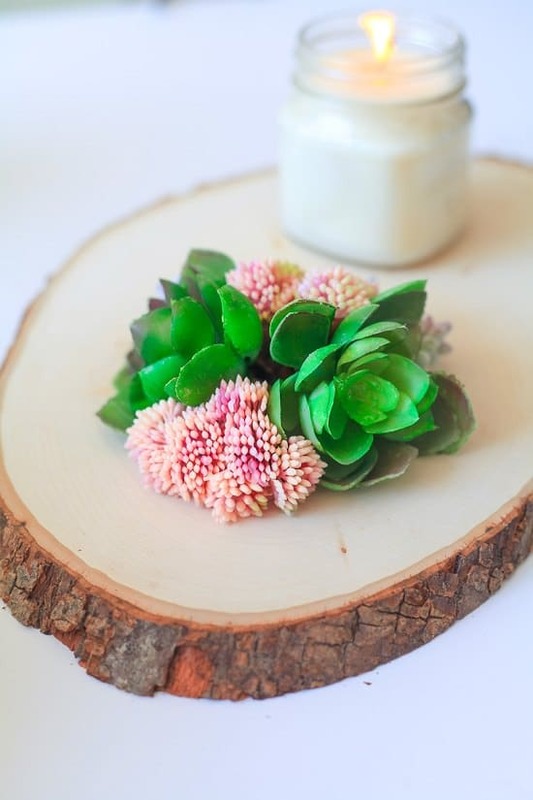 Make this faux succulent centerpiece, take help of this how-to article. 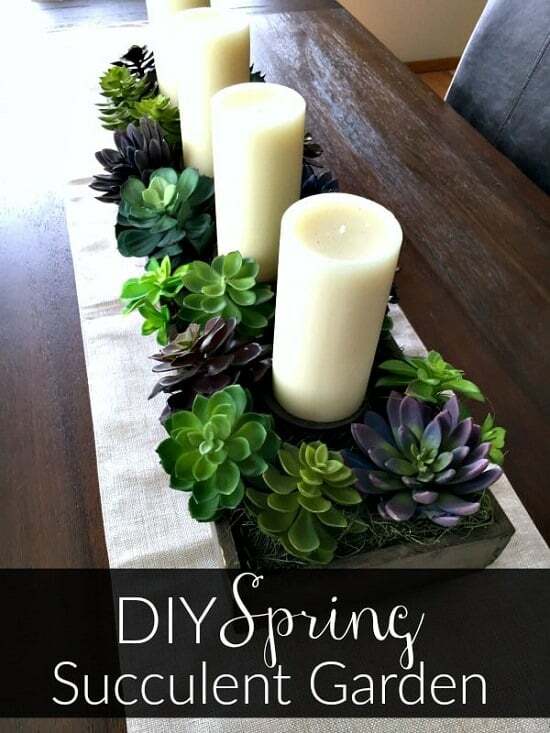 One more succulent table centerpiece that you can keep indoors. 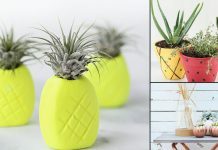 This blogger used artificial plants, you can use the living ones. 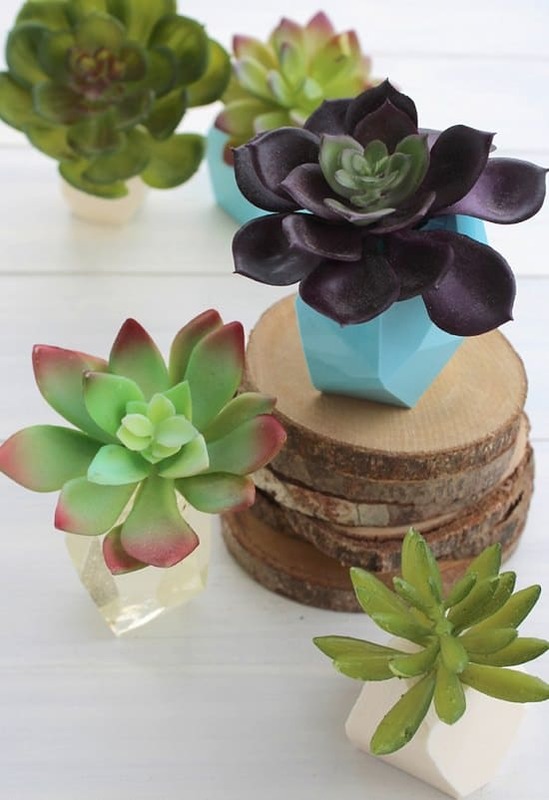 These cute looking geometric planters can be the home of small living succulents. If you don’t have the green thumb, use the fake ones. 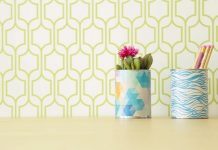 Check out more DIY Geometric Planter Ideas. 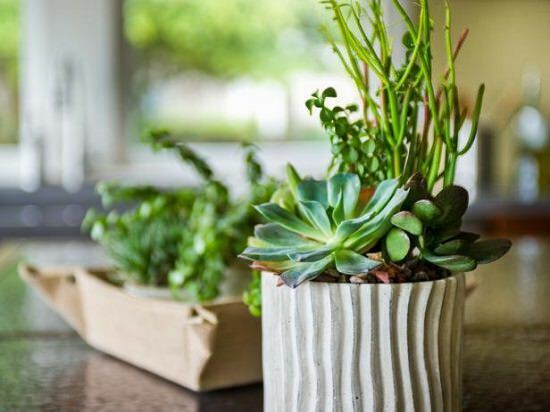 Learn everything about growing and propagating succulents in this informative article. 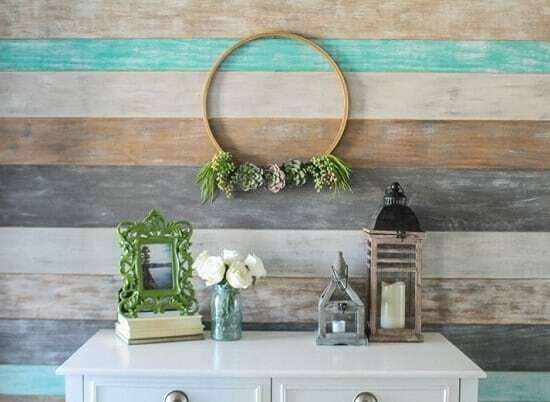 This is a great decor idea for Spring, find the steps in this YouTube tutorial. Another succulent project with artificial plants. Learn how to make it here. 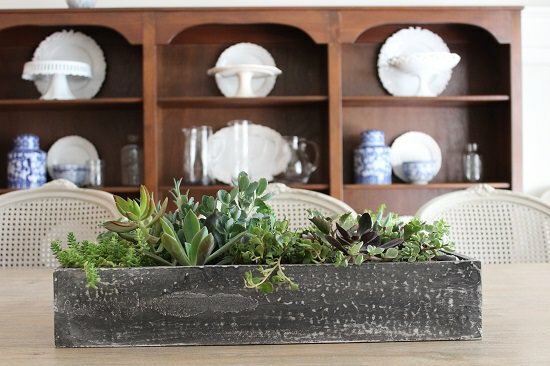 If you love growing succulents, try this 5 steps succulent arrangement here. Plants used in this project are ‘Sunburst’ aeonium, Echeveria ‘Perle von Nurnberg’, burro tail sedum, assorted blue echeverias, lithops (living stones), and Senecio radicans (fish hooks). 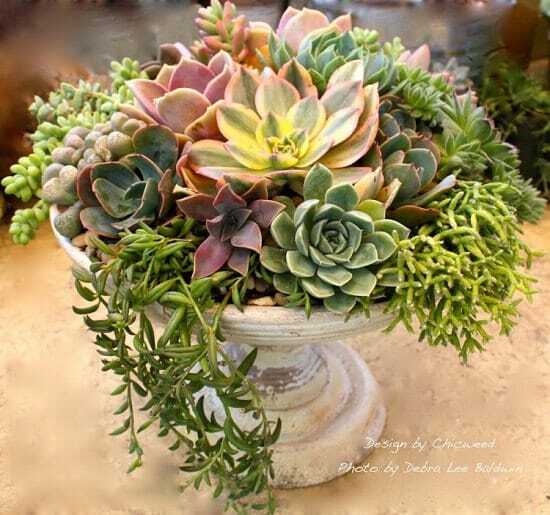 If you didn’t like the previous ideas that involved faux plants, this succulent dining table centerpiece idea here can your favorite. 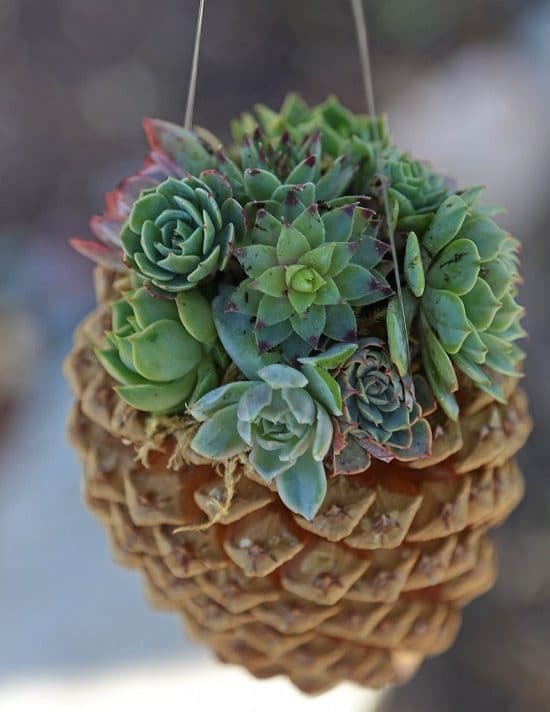 This hanging pine cone succulent planter is very attractive, make one for yourself with this tutorial. 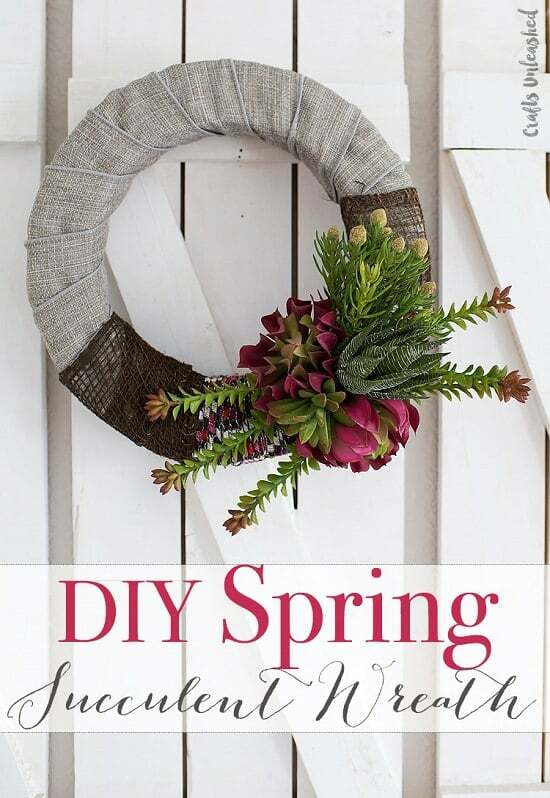 Hang this succulent wreath on your door or garden in the spring. 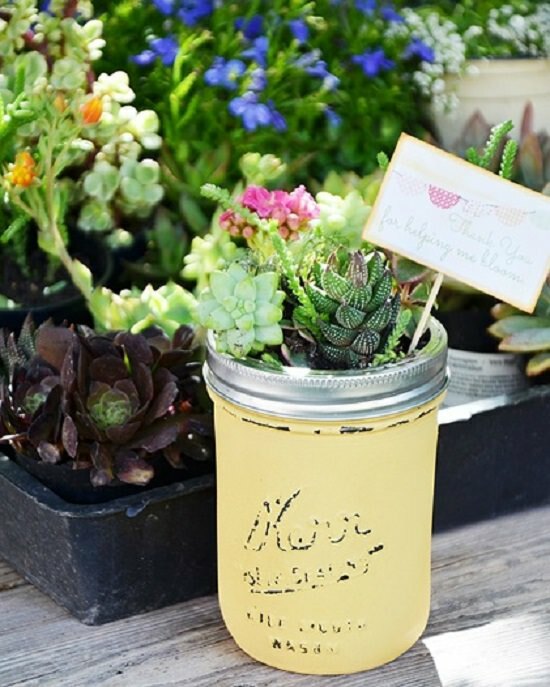 Buy young succulent plants or if you live in a warm climate, use succulent cuttings. Here’s the DIY article. 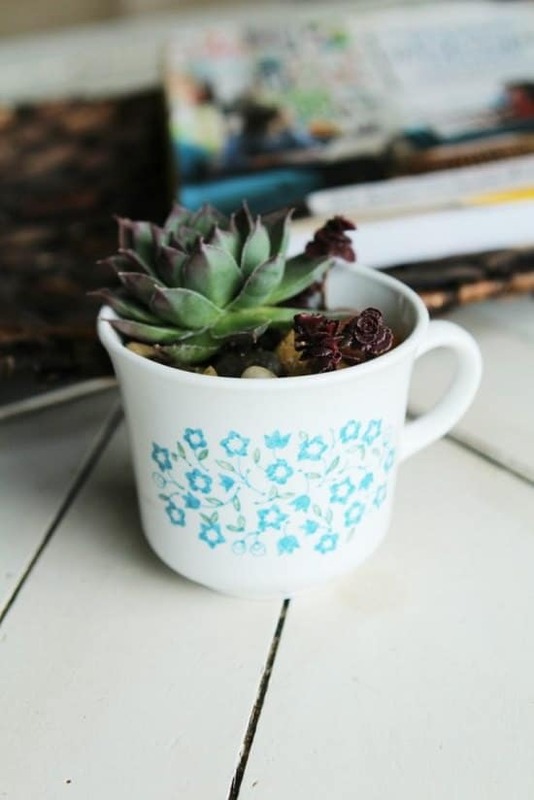 Use old teacups to grow succulents, you can find them in thrift stores if you don’t have already. You can’t make drainage holes, so water very precisely, only when required and keep the soil dry. The tutorial is here. Don’t follow the advice of adding pebbles or gravels for a drainage layer in the teacup because this doesn’t help. Find more about this myth here.